You can mix and spread small or large seed, fertilizer, greens and tees topdressing mix and hundreds of other products just by adding the ingredients and letting the Sides Spreader MIX and SPREAD it! A MUST for any organic farmer! The Sides Spreader is the only AG lime spreader that will fit on the back of any tractor with a 3-point hitch. This allows you to spread inexpensive, wet, agriculture lime where you can’t take a big truck. As a plus, you don’t have to wait on that big truck. You can spread on golf courses, steep pastures or farmland, vineyards, nursery and tree farms, orchards, sod farms, food plots and more. The list of agricultural uses goes on and on! Watch this spreader spread on steep terrain! Buying the Sides Spreader and being able to spread inexpensive agriculture lime versus expensive pellet lime, that works too slow, will pay for your spreader the first time you use it! Pellet lime at 2 tons/acre will cost you about $400.00. 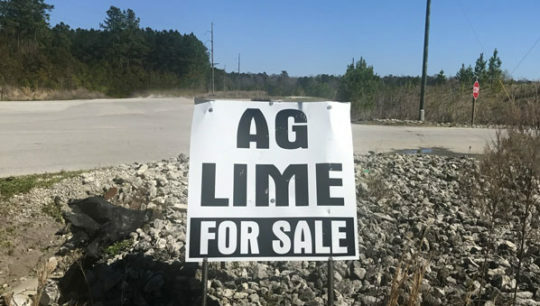 AG lime at 2 tons/acre will only cost you about $30.00! By spreading AG lime v.s. pellet lime, you roughly SAVE $370.00/acre!!! Gary Rossow – Central Texas. Use the 3D model below to interact with the Sides Spread-all Spreader. You can rotate and zoom to view every angle, feature and detail of the Sides Spreader. Just out of curiosity, I started browsing the internet to see what three-point hitch spreaders were on the market these days. There has never been a tractor mounted spreader that would spread moist, sandy, AG lime so I didn’t expect to see one. However, I soon ran across the Sides Spreader. I spent a couple of hours reviewing the website, looking at videos, and ingesting all the information I could find. I also spent hours looking for comparisons and came to the conclusion that the Sides spreader is one of a kind. I called and talked to Beth and started to learn the intriguing history of the Sides Seeding company and how the spreader was designed, engineered, and built by a local family company. The spreader evolved out of necessity and every aspect of it is custom-made by the guys who use them every day. I made the drive from east Tennessee over to Winston-Salem to meet Beth, Keith, they guys in the shop, and Mr. Johnny Sides. It’s a great company, great folks, and an excellent piece of equipment. We’re excited to have a single spreader to handle everything and built to stand up to years of heavy use. Just a quick note to tell you all at SIDES that I’m very impressed with the spreader. I’ve only used it for AG lime, fertilizers and seeding but it definitely works as advertised. It has definitely saved me time. “It performed exactly as you advertised !! It made our application of ant bait and sand across our playing fields a simple process and with ease we completed all our sites ahead of schedule!! We also have seen great results with no complaints of fire ants on the playing fields the rest of this year!!!! Call Beth to get your Spreader questions answered! If you are interested in learning more about how you can start making more money and saving time just by spreading, give us a Call Today! 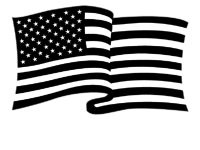 Copyright © 2017, Sides Spreader & Equipment Company, Inc. All Rights Reserved.